Iran's atomic chief said Tuesday the Islamic Republic needs only five days to ramp up its uranium enrichment to 20 percent, a level at which the material could quickly be further enriched for use in a nuclear weapon. The comments by Ali Akbar Salehi to Iranian state television come as U.S. President Donald Trump repeatedly has threatened to renegotiate or walk away from the 2015 nuclear deal. Salehi's warning, along with recent comments by President Hassan Rouhani, show Iran is willing to push back against Trump while still acknowledging it wants to keep the deal, which lifted crippling economic sanctions. 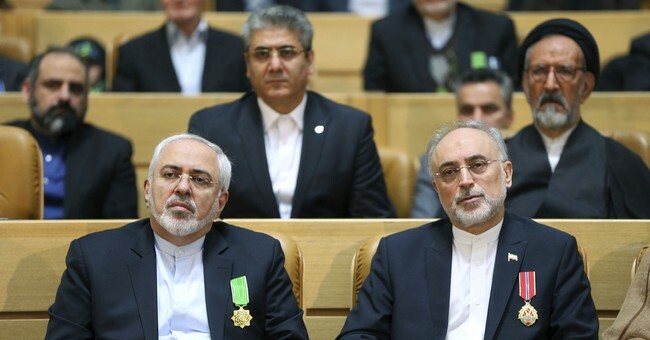 "If there is a plan for a reaction and a challenge, we will definitely surprise them," said Salehi, who also serves as one of Rouhani's vice presidents. "If we make the determination, we are able to resume 20 percent enrichment in at most five days. "...Iran gave up the majority of its stockpile of 20-percent enriched uranium as part of the nuclear deal it struck with world powers, including Trump's predecessor, President Barack Obama. The accord currently caps Iran's uranium enrichment at under 5 percent. While Iran long has maintained its nuclear program is for peaceful purposes, uranium enriched to 20 percent can be further enriched in a matter of weeks to the point where it can be used in nuclear weapons. New photographs obtained by congressional leaders show Iran shipping militant soldiers to Syria on commercial airline flights, a move that violates the landmark nuclear agreement and has sparked calls from U.S. lawmakers for a formal investigation by the Trump administration, the Washington Free Beacon has learned. 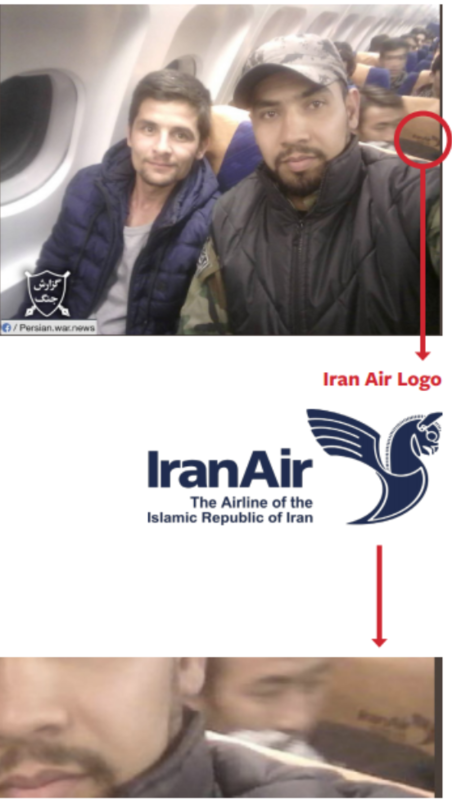 Photographs published by a Washington, D.C., think-tank and provided to Congress show Iran using its flagship commercial carrier, Iran Air, to ferry militants to Syria, where they have joined the fight against U.S. forces in the region. The new photographic evidence has roiled congressional leaders, who accuse Iran of violating the nuclear deal, which prohibits it from using commercial air carriers for military purposes. These lawmakers are demanding the Trump administration investigate the matter and consider imposing new sanctions on Iran. The release of these photographs allegedly showing Iran Air's illegal activity comes as top U.S. air carrier manufacturer Boeing moves forward with a multi-billion dollar deal to sell Iran Air a new modern fleet. Many in Congress have opposed the deal due to Iran's longstanding use of commercial aircraft for military purposes, such as transporting weapons and troops to regional hotspots such as Syria and elsewhere. According to medical records reviewed exclusively by CBS News, a U.S. doctor who evaluated American and Canadian diplomats working in Havana diagnosed them with conditions as serious as mild traumatic brain injury, and with likely damage to the central nervous system. The diplomats complained about symptoms ranging from hearing loss and nausea to headaches and balance disorders after the State Department said "incidents" began affecting them beginning in late 2016. A source familiar with these incidents says officials are investigating whether the diplomats were targets of a type of sonic attack directed at their homes, which were provided by the Cuban government. The source says reports of more attacks affecting U.S. embassy workers on the island continue. The doctor, one of several who reviewed their cases, included a warning in the medical records about the health risks of future exposures...A number of diplomats have cut short their assignments in Cuba because of the attacks. The source says American diplomats have also been subjected other types of harassment including vehicle vandalization, constant surveillance, and home break-ins. Although the State Department says it hasn't identified a definitive source of the attacks, it has reminded Cuban authorities of their international obligations to protect diplomats. The U.S. also expelled two Cuban embassy officials in Washington May 23. I was not terribly opposed to President Obama's decision to significantly alter US-Cuba policy, which had done nothing to uproot the Castro regime or improve human rights on the island nation over the course of decades, though I was concerned that, as usual, the weak administration had cut a bad, lopsided deal. In light of these reports about the effective poisoning of our diplomats in Havana, and additional human rights crackdowns by the Castros since Obama's rapprochement, critics who warned of the malignant character of the regime feel vindicated. President Trump was right to add new strings to Cuba's geopolitical and financial windfall. So even as the chattering class careens from Trump tweet to Trump tweet, and from outrage to outrage, the previous administration's major policy legacies are crumbling before our eyes -- if anyone is interested in looking.